A couple of weeks ago I shared with you guys my new purchase at Sephora, The Drunk Elephant kit. I said I’d do a review about it and let you know what I thought so here is the honest truth. I should have done a before and after picture to show you guys the results but I never got around to it. It has made my skin so smooth, like it actually looks smooth and plump when I’m not wearing any makeup. When I do apply my foundation it goes on so smoothly and I feel like everything just looks better too! My pores have reduced a significant amount, black heads are disappearing, my redness on my cheeks have basically vanished. Only thing I wished it worked on was those dark under eye circles but I guess it can’t be a miracle cream. In the past year or so I’ve had quite a few acne scars which is not like my skin at all. First off, I normally don’t get acne and if I do its from eating poorly or that time of the month. The serum are supposed to get rid of the scars however I don’t really notice them going away. When I did purchase the kit I was talking to the most helpful, knowledgeable woman in Sephora. I guess she specializes in the Drunk Elephant products so she really knew what she was talking about. All questions I asked she answered without a hesitation. Whether shes full of it or knows her stuff, she had me sold! She did tell me I’ll start noticing the product work within the next couple of weeks. Usually for any time of serum it takes a good couple of months to even notice the slightest amount of change. But she was right, I had noticed a total difference. So you might be wondering why I picked Drunk Elephant, what made me choose this product among hundreds of other serums!? Well, If I’m being honest It’s because I’ve seen it everywhere!! And I mean everywhere, so many people have been raving about this product and I’ve heard nothing but good things! I have been thinking for a while I need to update my skin care routine and thought I’d try it out. What really sold me on this product was I didn’t have to use 10 different products every morning or night to achieve a difference or spend hundreds of dollars a year. Drunk Elephant is all in one. one night cream that helps with redness, pores, acne. Basically the whole shabang and the one day cream which is the vitamin C that helps plump and smooth the skin. That’s it. It’s good on all skin types. Normal, oily, combination, dry and sensitive. The reason I picked the kit instead of the individuals was because A) it was cheaper. 2 serums, 1 facial oil for $100 and B) The kit is a great way to see what you like and how it works on your skin before you are paying for the full bottle which can cost you over $100 for just one. What I love even more about it is the products are free of fragrance, essential oil, silicone and irritants. They only use clean ingredients that benefit the skin’s health and never use synthetic or natural status ingredients. You won’t find silicone’s, chemical sunscreens, sensitizing dyes, perfumes of any kind which is why it doesn’t irritate your skin or you feel that chemical burn/sensitivity when you put it on! I’ve always struggled with sensitive skin to the point where my face would feel like it’s on fire. 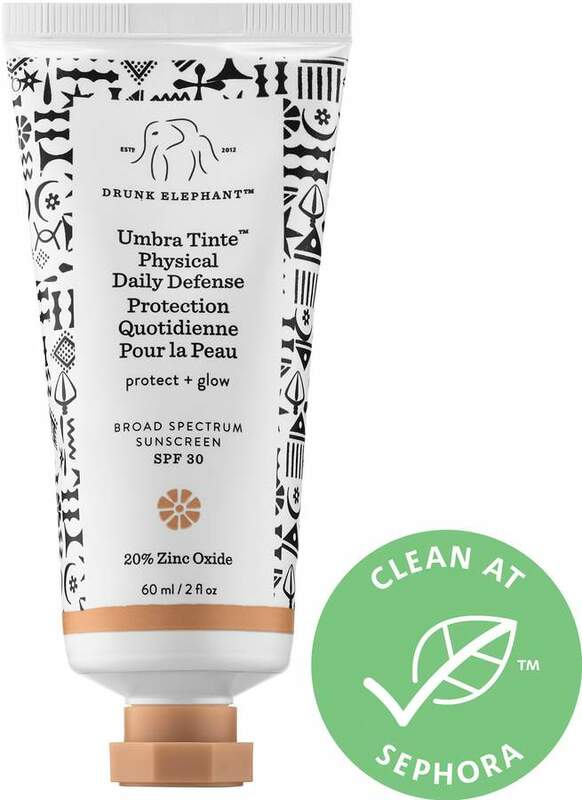 Drunk Elephant makes sure it’s perfect for all skin types so if you have sensitive skin, like me you won’t have to worry about that! Oh and the most important part, it’s cruelty free! No harming any animals in the making of these products, even though the name is Drunk Elephant. Next on my list, the tinted sunscreen. I’ve been on the hunt for really good face/neck sunscreen to protect me from those sunspots and premature wrinkles. Now that I’m almost in my mid-20’s I want to make sure I really protect myself so I don’t have the leather look when I get older. Knowing the sunscreen is chemical free and has a nice bronze to it makes it that much better! I’ll be letting you guys know more about that once I get my hands on one! But for now that is my review for the Drunk Elephant. If I was you and looking for a good serum to nourish your skin, I highly recommend it. I feel like it’s a game changer for sure! If you have any questions feel free to comment below and I’ll do my best to answer! Hope everyone is having a fabulous week and thanks for stopping by!